My son planted Plectranthus amboinicus for the closure of his school project. The closing of the project in my son's school is approaching, so the teachers decided to gather the representatives to inform about the planned activity. 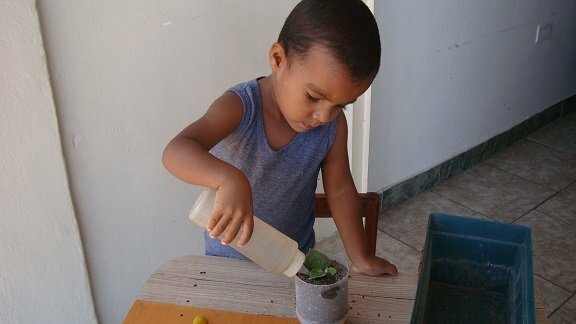 The project is about planting any plant, then, on the 21st of February, together with my son, I must take the plant to school and explain why that plant was chosen, what the benefits are and how it was planted. 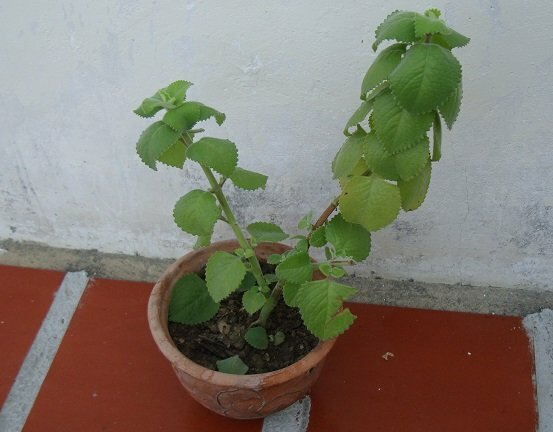 The plant selected for planting was Plectranthus amboinicus, in my country Venezuela this plant is known as "Oregano Orejon"
It is a medicinal plant native to Africa, can reach up to 1 m in height, is also robust and has fleshy leaves and very fragrant, its aroma is very similar to that of common oregano. In other countries, this plant is known as: French oregano, Mexican mint, Indian oregano, witch oregano, Cuban oregano, etc., This plant is very useful, besides being a medicinal plant, it is also used as a culinary herb to flavor several dishes. 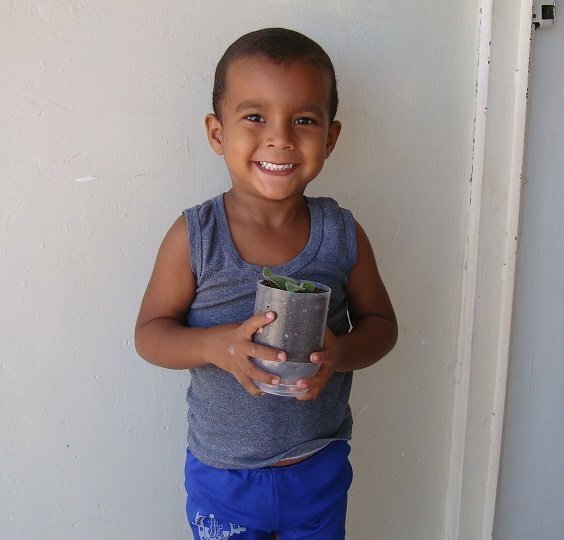 This plant can grow in a pot or directly on the ground, usually grows very fast and its reproduction can be through stakes, seeds and even the same leaf. Its cultivation should be in a semi-dark place, in this way its leaves will maintain their beautiful color. The soil or pot must have good drainage. 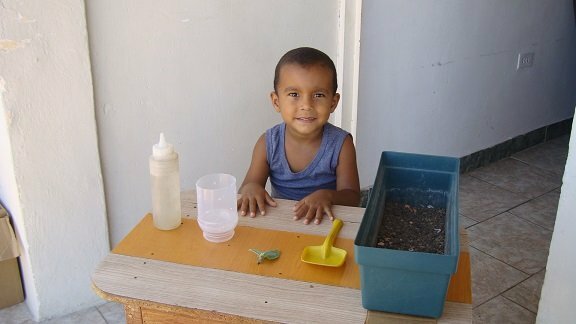 This plant can grow in poor soils, that is, it is not necessary to fertilize the land. If you are sowing in a pot, the most recommended is to combine sand, compost and garden soil. Your watering should be very frequent, in this way the land will remain moist, but we must avoid the puddles. Its harvest can be done throughout the year. It has a large amount of Omega-3, also has minerals such as: Iron, Magnesium, Calcium, Copper and Vitamins C, E, B6 and K that are needed for our body. Detoxifies the liver and improve its functioning. It is excellent for healing wounds. He is a great expectorant. It helps to expel kidney stones. Effective to calm the earaches. Make a juice with two oranges. Select 3 leaves of this plant. Wash the leaves well and remove the strands. We liquefy the juice with the leaves. Strain and sweeten with honey, if you do not have honey you can sweeten with sugar. This juice is very rich but the best thing is that it is very effective to eliminate phlegm. How to plant plectranthus amboinicus. As I said before, this plant can be reproduced through seeds, stakes and the same leaf. For this closing project, my son planted a small stake that has some leaves. 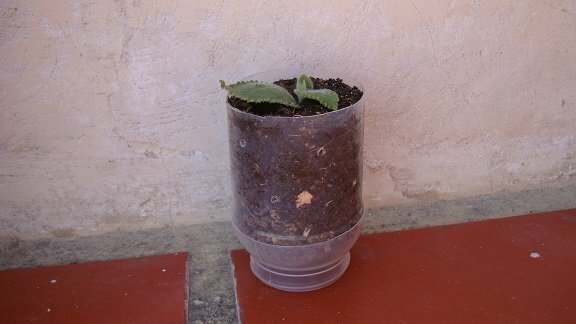 Step 1: We make some holes in the container so it can have a good drainage. 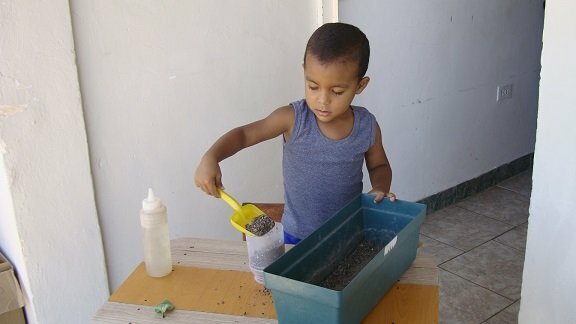 Step 2: We fill the container with the earth. Step 3: Then we make a small hole in the middle. Step 4: We place the stake and cover with the same earth. Step 5: We add water. Step 6: Finally, we place our packaging in a semi-shady place. 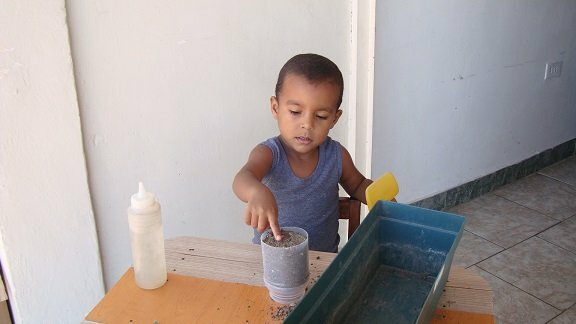 In the case of sowing seeds, it is necessary to spread them at a distance of at least 20 cm. Eliminate the weeds that are created around this plant, since they absorb all the nutrients and resources. Lack of water like excess can cause damage to the plant. Its leaves can be stored in plastic bags and can be refrigerated. This plant is not usually affected by pests. 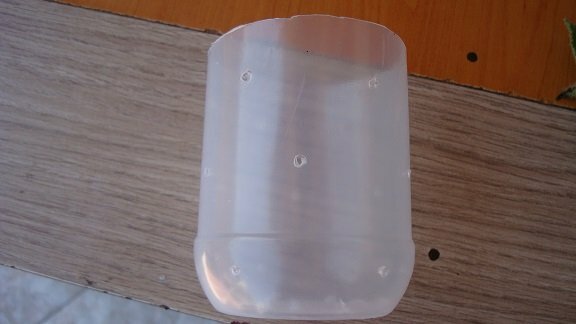 In fact, it is used as a repellent for several pests such as ants. 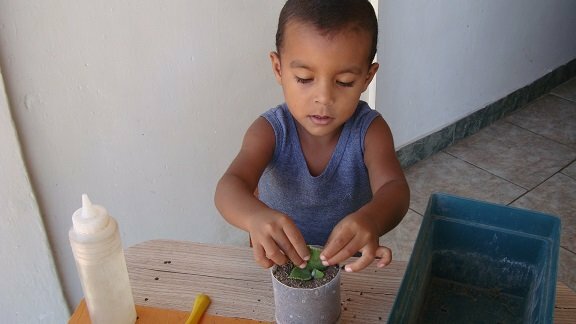 We must involve our children in the cultivate practice in a very fun way, since through their own experience, they acquire the necessary values ​​and knowledge, such as; They enjoy nature, respect for the environment or the importance of a varied and healthy diet, they also learn to acquire responsibilities and strengthen their self-esteem. What else can we say..... we @farms are pleased and proud of you and your son and wish him success on his farm project.